Then go at it again. This is attempt # (insert big number here) of getting better at things in life. Drink at least one bottle a day (750ml). More is better. I'm relatively good at going to bed by 22h00, but it has to improve. Trying for 21h45 this challenge, with special focus on going to bed on time on Friday and Saturday nights. Love to hate doing it, but I have to change my attitude, and stay on top. Dailies: Mondays, Wednesdays, Fridays - keep monthly budget up to date, and reconcile with money spent by hubby and myself. Monthlies: Once a month tax/finances update on spreadsheet to be handed in with accountant at end of financial tax year (and twice annual provisional tax payments). Do December/January finances. A lot of talk in other threads in the previous challenge about "cleaning" out your house. Getting rid of excess/clutter/the stuff. We've been in this house for 18+ years. I looked at the house and realised it could do with some cutting back of clutter and stuff we just don't want to bother with at the moment. So starting with the boys' room which is supposed to be the easiest/neatest at the moment. The difficult thing in their room will be what to do with all the toys they 'inherited' from their granny/dad. I'm currently a bit negative about our country. Struggling to stay positive in the political climate and upcoming elections later this year. I am seriously considering the idea of immigrating, but hubby is dead set against it. I don't want to pressure or nag him on it, so I mention things/comments/options here at times. In the meantime life goes on, and I try to make the best of the situation. Nice challenge. In the Konmari method of tidying, she suggests keeping sentimental items until last and then deciding what you want to do with them. That might be helpful with the inherited items. Praying for you guys and wisdom about your living situation. Also praying for you for peace. It is great that you are not nagging Brandt and giving him room to think about it. That is just what we do here! I'm with you, getting up for the bajillionth time! As long as we keep getting to our feet, we haven't failed yet. Thanks Tank, and I'm still so chuffed about your and M's news! *hugs* I'm here to support you as well. Part of my thoughts are that we should get rid of the changing table (metal and also inherited, was Brandt and all his siblings'), and build a flat surface underneath the bed area, like a table. It would be bigger and make the bed more stable. And the toys in the drawers and cabinet can just go into boxes if need be. 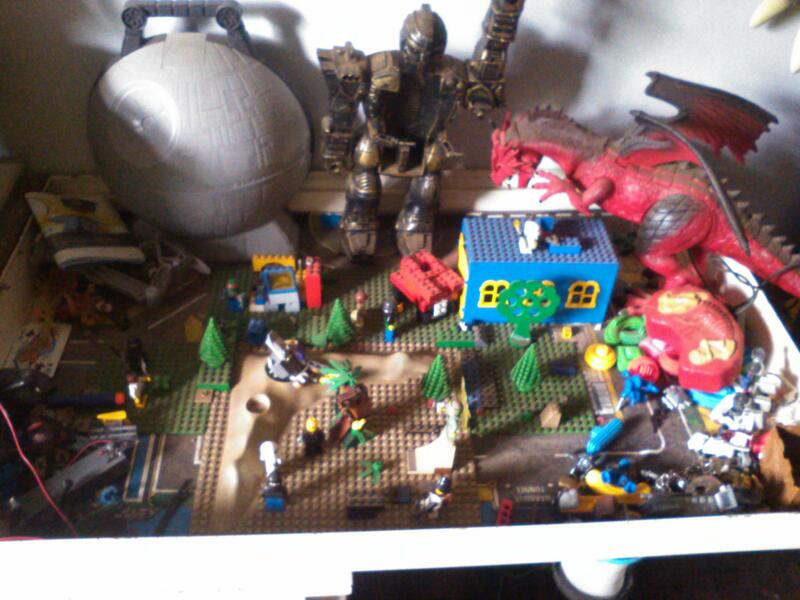 Two of the drawers are full of those plastic animals, from all kinds of biomes. They loved building nature scenes with the right kind of animals for a specific area. Ok, Adam loves doing that still. So that is the problem, what to keep and what to get rid of. They don't play with all their toys a lot, but they do still use them. Adam uses the plastic animals specifically when he is interested in learning about a new animal biome, etc. But I think at first I'll first concentrate on those things they really don't like or haven't played with in years. Getting back up on our feet, and supporting each other forwards! I don't truly think we fail. We've just learned, yet again, how to do, and not to do, certain things. After doing exercises yesterday morning I made one change to the strength training: I swopped deadlifts and X-over lunges out. The schedule above is the final version. So yesterday and this morning was a bit different to what I wrote ^^^^ up there. X-over lunges (3x10) See above - this will be on Tuesdays and Fridays now. Knee Pushups (3x10) I can go a lot deeper (as in full depth) on my knees, giving my arms and core a better workout. Russian Twists with Leg Cycle (core! - 3x10 @ 10kg dumbbell) I first did the core twists from side to side, then did 10 cycles, like a circuit. 3x10 on each. Deadlifts (3x10 @ 28.5kg) to make sure that I've done them. They'll be on a Monday and Thursday from now on. One bottle done. Was a coolish day (20s). Was in bed on time, but didn't sleep well. Brain was suddenly awake and Rosy kept growling at me if I turned around. Finally pushed her off the bed and got some sleep, but it was still broken. I kept waking up and I don't know why. See explanation to Elastigirl above. I did remove a shoe rack that was in the boys' bedroom. 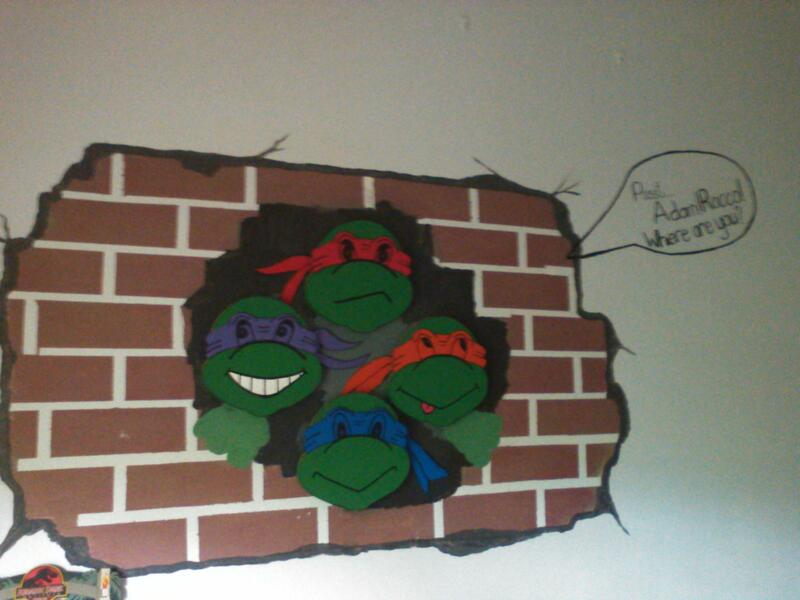 Their room theme is Teenage Mutant Ninja Turtles and I replaced the plastic shoe rack pillars with two concrete blocks (previously), to fit with the idea of the TMNT breaking through the wall. Now the rack and concrete blocks are gone, and there is a bit more space (under the folding section of the changing table on the right hand side of the room). Their sandals and tekkies (running shoes) are mostly in the car anyway. Only riding boots are in the bedroom. That's Adam's bed on the top left, and Rocco's space bottom left, but as I've mentioned many times before, he refuses to sleep in that bed space since the bottom broke a couple of years ago. Brandt fixed it properly, but he still refuses to sleep there, so his mattress is on the floor and I move it out every night. Which is why we want to build him a bed. We don't trust the construction of these bunk beds any more either. And Rocco finally said he'll sleep in a proper bed if Brandt builds him one. But now his "bed space" is filled with boxes of toys, which we have to sort through. In the background, in front of the window is one of the Citroen's seats, which is actually handy and comfortable, where I sit and read to them at night, or they sit and read on their own. On the right is the changing table. Rocco's bed must fit over this, leaving enough space between the table and bottom of the bed to still play, OR we have to remove the changing table totally, and build in a surface for Rocco to play on, which I think might be the better solution. So this is what I want to sort through this month. hey Elize! I'm following along again. the Battle never stops and Neither do you! No a friend of ours made it from wood and then painted it. I only painted the broken wall. In hind sight I could probably have drawn/painted the turtle faces as well, but I wasn't confident enough in my abilities. The changing table does take up a lot of space, but it contains four deep drawers, and a small cabinet with door, which hides a lot of toys. Things are up in the air at the moment, so I'm just going to concentrate on cleaning out everything (toys, etc. that is stored in cupboards, tables) that isn't used at all. Not going to touch the furniture right now until I know what is going to happen in the future. Thanks TGP, I'm glad to have you along. You have a new challenge up yet? Walking: No walking. Brandt was supposed to be out, then it started raining softly, then cleared, and nothing happened. 4. Sleep﻿: Was in bed early. Got a good night's sleep in, but woke up just after 4am and was rolling around a bit before the alarm went off at 4h50. 6. 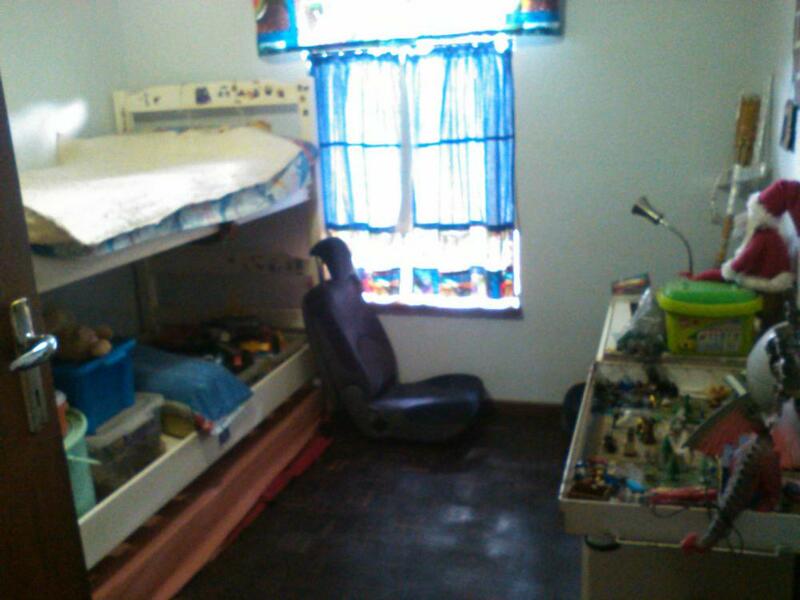 Tidy a Room: Nothing more in the boys' bedroom yet. Due to another discussion with hubby this morning, we're not making any changes to furniture at the moment. So when I clean a room it is basically to get rid of all those stored stuff which is either broken, never used, or something in that line. I am so stiff and was so sore yesterday! From my glutes down to my knees I could hardly bend, and my upper back was tight. Walking was ok, but getting up or sitting down was a problem. Rocco gave me a very welcome massage on my back and thighs last night. That boy has magic fingers! I really think he should become something in the masseuse/physiotherapist area some day. I did some squats this morning just to loosen up the glutes and thighs, and that helped too. I hope to walk this afternoon. I did bible study and then wanted to do dry fire training, but got distracted by Brandt. I did unload and clear my f.a. which had a bullet stuck in the muzzle. So a bit of help from B to getting that out. Will clean and check f.a. today as well, and that can all definitely count as practice as well. Know your f.a. well! Anyway... another discussion with Brandt this morning. He was up early as well, did some work and then eventually came forth with what was bothering him, while I was making breakfast. Firstly we discussed the Cape Town trip. He thinks we should fly down the Friday, and fly back the Monday. That way he only looses two days of work, and it will cost us a whole lot less money. No visits and stops at historical or natural places. I don't have a problem with that. He needs to talk to his mom tonight, as she (me on her behalf) will have to make changes to the accommodation arrangements down there. Flying would be a great adventure for the boys as they've only flown as babies, when I visited mil and she didn't want me to drive all the way to her with two small kids in tow. Secondly: he asked if I would be willing to check out the immigration agency that his friend A and his wife are making use of to immigrate to NZ. I need to get answers on the birth certificates, as well as our marriage certificate. Then we need to continue to apply for passports as soon as possible. He also wanted to know (again), why I said it won't take less than 3 months for us to finalise things if he gets a job and decides to immigrate. I told him everything on my side that I have to finalise (policies, financials->taxes, house rental here and there/selling, my mom's accommodation, his mom - told him an idea I had which could help everyone out time and money wise- not to mention the animals and everything needed for them). He pondered the information and possible implications and said if we fly down to the Cape, it gives me the opportunity to attend the evening on immigrating with your pets, which the vet is currently organising. So I reserved my spot for that and tonight we are talking to his mom on flying to the Cape, and then booking tickets for that, hopefully. There are also transport information I would have to find out, like storing our car short/long term at the local airport, renting a car down there, etc. Thirdly: we agreed on me going through the rooms/house and throwing out what is really not wanted/needed any more (not talking sentimental/inherited stuff yet), but we won't be making or buying or changing furniture or soft furnishings in the nearby future. IF we immigrate, it might be cost effective to take the non-electrical furniture with us (like beds, tables, etc.) but not any electrical appliances because of the wall plug/voltage/watts differences between the countries. Brandt in the meantime has started cleaning out the garage and are also thinking about the car build and its implications and possibilities. It's just really not an easy decision to make, and I can see the stress on his face. I don't know how to make it easier, less stressful, other than getting all the information we may need, and just taking it day by day. You're having such an active start to your challenge this time... that's Good! very rationally with lots of emphasis on HOW and HOW MUCH. even if you don't go NOW it is really wise IMHO to know exactly what it would cost and how it would be done. --- Yes. I have a new challenge up. its a bit different. I need to mix it up a little. That is exactly how you make it easier. By helping and supporting. I don't know what his Love Languages are, but telling him you appreciate the thoughtful way he is approaching the situation and looking out for the wellbeing of the family is a good idea. Here for so much encouragement and seeing many successes! Cleaning out a place with a decade plus worth of 'stuff' is really difficult. he changing table does take up a lot of space, but it contains four deep drawers, and a small cabinet with door, which hides a lot of toys. Things are up in the air at the moment, so I'm just going to concentrate on cleaning out everything (toys, etc. that is stored in cupboards, tables) that isn't used at all. Not going to touch the furniture right now until I know what is going to happen in the future. This makes good sense, even if you don't move. He looks everything through from start to finish before he makes the final decision on what is the right course of action. I tend to make a quick decision of what needs to be done, and then think through all the steps as they come. As example: He will think through EVERYTHING about immigration from start to finish and the various options, and only when he reaches the end result in his head, will he decide, "ok we must do this". I will look at the current situation, what I see ahead, other options like immigration and the implications and quickly decide "immigration is the option for us", then work through the situations systematically. But in the end he makes the final choices for us as family, and I will abide by his decisions. I actually thought of doing that, and then did it when I saw you mention it as well. He gave me one very funny, confused, "what's up with you" kind of look, shook his head and then nothing. It's not as if I don't thank him for his hard work and looking after us, etc. Maybe it just came out odd... or he expected more comments on immigration (we were discussing the imm.pet evening and his friend phoned him with more information about that agency yesterday afternoon) and I surprised him by thanking him for being him and looking out for us. He is very uncomfortable receiving praise for anything that he sees as his 'job' or responsibilities. He also doesn't give out praise for what he sees as someone else's job or responsibilities. Thank you and nice having you around. Greatly appreciate it. I've had "cleaning phases" through the years, so hopefully it won't be too bad. But... I just might not be remembering everything that I did stuff into one cupboard or another. Can't complain about a cleaner, more organised home in any sense. Thank you. I'm not always sure that I'm thinking of what he needs or how I need to support him, and not just about myself. The boys of course heard our discussion about immigration yesterday morning, and we had a bit of discussion about possibly moving after Brandt had left for work. Adam wanted % chances of moving so I said 50/50. On the way home from Lego they wanted to know whether we'd be able to take everything with us, or "leave the games and computers" (horror! oh mighty horror!). I wasn't sure because there is a hertz difference (I mentioned it before), but voltage is the same. Brandt confirmed this morning that we can basically take all our electrical appliances (big and small) over (so he must have looked it up himself to confirm what is what), we just need to change the plug points on the cables. So the boys were happy after that. 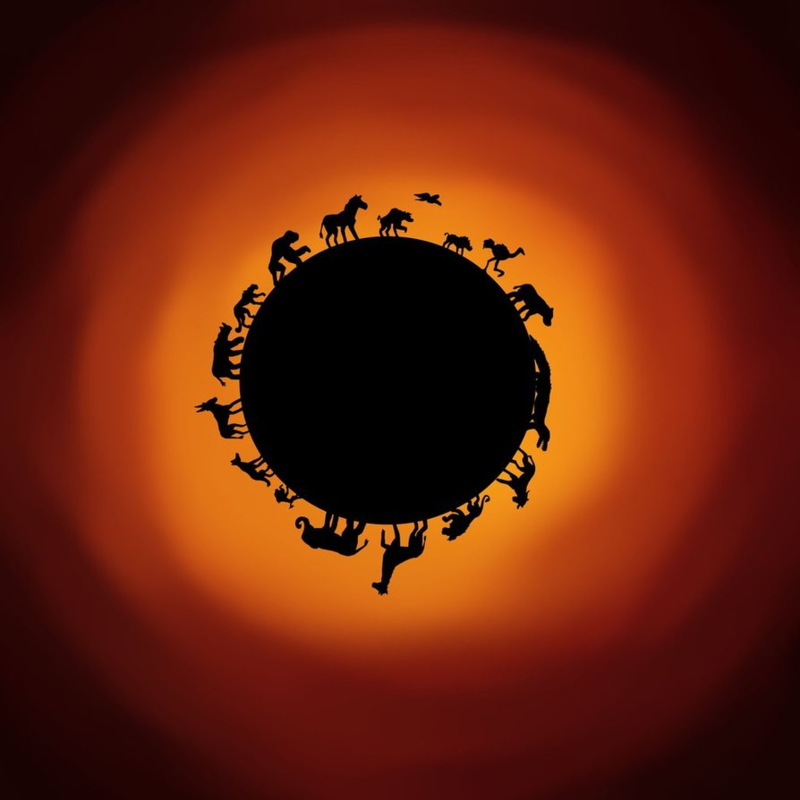 They are also worried about the animals, and I told them I was unsure whether we could take Breeze, as they don't allow any reptiles in as pets, BUT maybe we could apply for special permission, as I'd read something in that line. But tried to calm them with the fact that things will work out for the best, and we first have to face many other hurdles before making the final decision. Anyway, when we got home from Lego, the discussion continued. Rocco went to the wall map and asked where NZ was. I gave him directions: "two islands south east of Australia". He got it on the first look! Then he was worried about how we'll get there! Plane or boat and will it be safe enough, and what about if the boat sinks and we loose everything? And our things and the car won't fit on a plane! So I calmed him down, sat him down and reminded him that God has always, but always looked after us. He'll keep our stuff safe and floating, and if not, then He will give us the means to make a living. And stuff being moved has insurance cover, so we'll get some money back and can make a fresh start. But most of all, he just had to trust and rely on God, because everything isn't under our control, but He does have the whole world in His hands. And that was it, he was calm and went off playing games. Adam on the other hand, looked up NZ on Google Maps, and then zoomed in to have a good close up look at houses, towns, etc. It hit him as well that there were no fences, and few gates. No security gates or barb/razor wires anywhere. So we had another discussion about security and safety. And I was quite chuffed with their own selected geography/social lesson. I had a funny incident while walking. A man stopped me on the road asking for work, saying he was from the neighbouring country, Zimbabwe (it's even worse there now than previously under Mugabe). I told him I didn't live there, so could unfortunately not help, but referred him to the missionary up the road. They are sometimes able to help others from neighbouring countries. When I walked past him again a little later on, he again stopped me, thanked me for being friendly and trying to help, and then wished me luck for my future in this country being white. I forgot about it, thus didn't mention it to B. Wondering now what they talked about at the missionary. Otherwise... Brandt spoke to his mom last night about Cape Town in March, and we made the arrangements and changes. We are now booked to fly down on Friday 8 March, and come back on Monday 11 March. The boys are excited, to say the least! She was at first very upset, but later accepted that at least it will only be two days less with her down in the Cape. We are basically cutting out our part of the holiday travelling down, seeing places. That lifted a huge mountain off Brandt's shoulders I think, because he actually smiled when he finished his call with her. Sorry, I'm using my challenge as a "Dear Diary" again. Walking: Yes, walked just under 4km during Lego. 2. Dry Fire: Yes, cleared a malfunction and talked with B about f.a. 4. Sleep﻿: Had to wait for B to talk to his mom, then we looked up flights and car rental, booked and paid, and by the time I showered and got into bed it was just after 22h00. Monthlies: Not yet - got it written up for Friday and Saturday. 6. Tidy a Room: Nothing more in the boys' bedroom yet. Thoko will be cleaning behind the beds, on top of window boxes and the cupboard today. Thank goodness for Thoko. She has first pickings on the stuff we aren't keeping. She's put out two remote control cars (still working but batteries flat, and the boys don't like them), for her grand children. Their almost new! I'll put remaining stuff in good condition out on the curb for people to go through and take if they want. Adam on the other hand, looked up NZ on Google Maps, and then zoomed in to have a good close up look at houses, towns, etc. It hit him as well that there were no fences, and few gates. No security gates or barb/razor wires anywhere. So we had another discussion about security and safety. The thought has occurred to me that if you do move, you will probably have some post-traumatic stress related to safety and security, and it will take you a while to realize what you did in SA won't be necessary in New Zealand. The situation will be similar to what you went through after your Mom finally moved out for good. You are a great mom! You handled all the questions, doubts , and fears from your boys so well. That makes sense. We always have to be on the lookout, always vigilant. If the boys stay at home they literally have to repeat the "lock this door, lock that gate" mantra before I'm willing to leave. And they again tried to steal a child in a mall (luckily another town 3hrs from us), yesterday. The guys who caught him, and was video'ed by an onlooker, gave the would-be-kidnapper a good couple of kicks, while dragging him to their office. I don't know how I feel about that. Strength: Didn't do - tired. Walking: No, sat in a queue for more than an hour. 2. Dry Fire: Next Wednesday. 4. Sleep﻿: Thursday night was late and broken... again. 6. 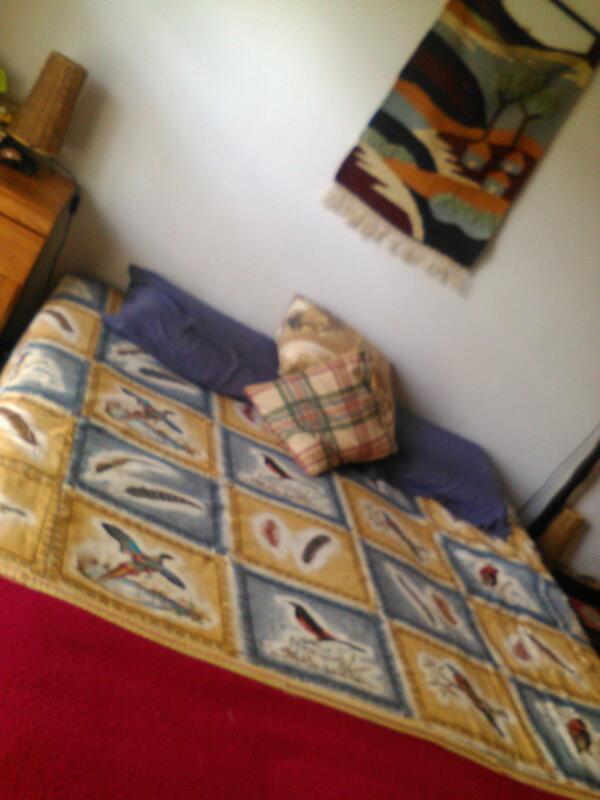 Tidy a Room: Nothing more in the boys' bedroom yet. Went to bed a bit late Wednesday evening, and was woken up a couple times from ferocious barking throughout the neighbourhood. We were not the only people waking up. I saw a lot of lights suddenly being switched on. Last night, the same thing happened again. Poor Brandt got even less sleep in than I did. I needed to finish the author in UK's book last night, which was only just before 23h00 (last 150 pages of 514p book!). Received a book to proof read from Aus.author which needs to be done by Sunday. Luckily this is a short one, just over 100 pages. I went to Home Affairs (H.A.) yesterday morning, was shown the long, long queue of people waiting for Birth and Marriage Certificates department, in a second room already. I went home and decided to go in later the afternoon, as I couldn't sit in the queue at that stage. Went in just after 14h00 again, was in the queue, and finally saw the clerk 15h30 (I commended the clerk on working so fast - he'd helped about 50 people in around an hour!). We discussed the boys' birth certificate differences, which he insisted shouldn't pose a problem. Then he helped me with the three new forms I needed for Brandt and myself, and that was it. Luckily I had taken a copy of our hand written marriage certificate with, otherwise Brandt would have needed to be there. It was closing time already, so he quietly advised me to come in again Friday (today), go straight to payments (3rd floor - wait in the queue), then go back to see him to hand in the forms. If I'm lucky they can again help me with some of the certificates immediately (as in I wait around for about half an hour to an hour for them to print it), otherwise it would again be a couple weeks. We have really had it lucky to have received the boys' certificates so quickly! Going to H.A. office is really stressful, because a lot of people don't realise that you are going to a different office than them, so they think you are pressing in to the queue, and make rude comments. This happened to me again yesterday. In the first line the security guard came to my defense telling the people I'm going to 2nd floor, I'm not taking their place. On 2nd floor the queue-guy pointed at me and made some kind of comment to colleagues. Two guys in front of me in the line (a Zulu and Muslim man) said "How! Auwa!" (meaning "what! no! "), and gave them ugly looks. The pointing and comments stopped. But I was feeling very vulnerable. Luckily the two men stayed closeby the whole time. This didn't happen when Brandt was along, or when I fetched Rocco's certificate, but it does happen frequently when you stand in queue somewhere. And you don't always have help. Brandt was also very upset last night, about something that had happened at the other office yesterday, but he didn't want to talk about it. Instead he started talking politics, and I let him blow off steam. I only told him about ^^^ at H.A. this morning. I send him messages while waiting, telling him where I am, or going home, etc. His mom phoned later last night to confirm whether we've changed the bookings and got flights. She first spoke to him, then to me. When I was talking to her she started crying and eventually got out that she spoke to a friend yesterday, and realised that Brandt had tried his best to keep his promise to her, to support her with this cycling race, even though finances are tight, and he isn't asking for anything (although she is paying for accommodation in the Cape), except for her to understand that we can't do things as we previously planned. She thanked me for supporting him in still going, and that she could always depend on us. I felt like a heel! I was the one saying that if we couldn't financially afford going down, then we should cancel it, or Brandt should go down alone, while he was trying to make things work out for the best, for all of us. Anyway... typing this all out helped me, but at the moment I feel silly for getting so anxious yesterday. I'm praying today will be totally uneventful in the queues. Went to H.A. office this afternoon (13h30). Paid, waited in queue, but only 30min. Went back to certificates office and asked the queue-guy where to go. It was a different guy from yesterday and he told me to go straight to the desks and wait for the lady to help me, not to wait in line. Another lady joined me, and after another 30min. wait the clerk took in our forms with slips, and told me specifically that they'll have it printed and let me know via sms (text message) when to collect. I didn't have to wait, I could go home. So I didn't, and I did. The offices were extremely hot with no aircons working. I bought myself a vanilla milkshake at Wimpy across the street and went straight home. I'll do other town stuff tomorrow. I don't know why I get so worked up. Yes I do, it is about the possibility of trouble. Luckily God is good. It went well. Been a quiet, restful, load shedding, rainy weekend. We visited with our friends from Australia, together with another couple and another friend. The latter is immigrating to Vancouver state (Canada?) in a couple weeks' time. His girlfriend is Canadian and seems to be sponsoring him, but he is also going to start his own computer-related business there. I don't think Brandt spoke to C at all about immigrating which he said beforehand he wanted to do. But it was good to see them again and just be able to visit and chat. The boys made use of the Air BnB's swimming pool, and afterwards enjoyed a light snack/meal together with the adults. Brandt and I ate before we went over, so we didn't eat much, just a little bit not to seem rude, but the boys made up for us after their vigorous swimming session. It was also nice to get so many compliments about the boys. They've been watching an animated history YouTube channel, and held some conversations with J and her daughter about wars and such. Those two are history boffins! So I was impressed that both boys, but especially Rocco could hold a good conversation with them. That was what J told me as well. Anyway... a lot of rain, some sleep, and a lot of relaxation for both Brandt and I. We are both feeling much better. Today the sun is shining again, which also helps. I've been taking extra vit.B's as well as omega 3's which helps with Cortisol and stress. I slept a whole lot better over the weekend. Still interrupted, but much better. We've also been notified that the country will start with electricity cuts (load shedding) again. The normal reasons: they don't have money due to misappropriation of funds, and corruption, and they want to take even more from the people, but they've been told by a court order (some meeting in court or such) that they aren't allowed to increase the prices with more than 15%. So we've been given a schedule again, which the municipality again are not keeping to on the first day of implementation (yesterday). So yeah! Candle-lit nights here we come. In the meantime our elections day has been set for 8 May 2019. 4. Sleep﻿: Was in bed by 21h15. Woken up by something crashing somewhere down the street, but couldn't find out where, and no messages on the w.app group. Took some time to fall asleep again. 6. Tidy a Room: Neatened some things. Have to go through their closets. Add: Just a small note. Got another phone call from my mom this afternoon, and a "please call me". I phoned the home and spoke to the sister. Long story short, my mom had lied in December about her phone being broken, it still works well enough that she's been using it every day. As she'd told me it was broken and she can't use it, I didn't put any money or data on this month, and that was why she phoned. So at least now Brandt and I know her phone isn't broken (yet) and we don't have to worry about buying her a new one this or next month. I'm wishing for calm and good fortune for you in these tumultuous times! You have such a good attitude and faith, and a solid family and one way or the other I believe it will turn out for the best. Sounds like a lovely trip. Such a surprise (said with sarcasm) your mom lied. I love how you just believing her ended up in the truth coming out. Thanks, so much. How does that song go: Ke sera, sera, what ever will be, will be. The future's not ours to see. Ke sera, sera. We're all looking forward to the Cape Town trip. I've now booked a bigger car, a Hyundai H1 minivan, because m.i.l. asked if we could rent a vehicle big enough for the whole family to drive in one vehicle, instead of two different vehicles. It's in just over 3 weeks' time! The truth always comes out. Dr. C said last year that I should take her (my mom) at her word - superficially - and not try to figure out what is behind or being planned. So that is what I'm trying to do. Over the years when we lived far apart, she would call with "issues and situations", more lies mostly. So now when I hear her ringtone, I become anxious because of the ptsd I've developed over the years. Today when the boys and I got home after Lego, there was another car close to our gate, with the windows open and the lady on the cellphone. Just as I wanted to drive up our driveway, I heard that ringtone that I've assigned to my mom's profile on my cellphone, and I actually stalled the car! Anxiety sky high immediately. Later when we were inside the house, and I put the cellphone on charge, I saw that no calls had come through. It was actually that other lady's phone that had rung, but because it was the same ringtone, and muffled (my phone was in my handbag, passenger side footwell), I'd thought it was mine. The relief was immediate. I guess I just have to go on, and see whether it gets better with time. It is actually only the last two months (of the 8 months we were supposed to be no contact) that my mom has left me mostly alone. Maybe it will get better over time, if she leaves me mostly alone. Walking: No. We are basically not going to walk with Brandt on a Tuesday this month. 4. Sleep﻿: Was in bed just after 21h45. Asleep before 22h00, because Brandt said he came to say goodnight and I was out like a light. Monthlies: Not yet! This is becoming serious. 6. Tidy a Room: Now that I don't have to save money to buy my mom a cellphone, there is a chance that I can get 2-3 of the chair cushions that we need to replace for the dining room chairs. I have to do some sewing for Brandt before this weekend, so I went through my extra materials cupboard, checking what I have to make covers for cushions for said chairs. I'll go into town tomorrow and look at prices for sponge. It is quite pricey. Otherwise I must just buy pre-made pillows that are flattish, but on the hard side, and use that. It will cost A LOT less, and will also last a long enough time. I'm using spare bed pillows (feather filled, which we all react to when used as normal pillows) on two of the chairs at the moment and it seems to work well enough. 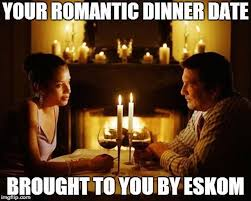 We had our first load shedding this afternoon, and *gasp* it was actually according to the schedule they gave us! Two ours of no electricity. The boys played, I rested on the bed, in between checking on the food cooking on the (gas) stove. It has been raining constantly every single day with only an hour or two break here and there. This is our typical spring weather, which we didn't have Oct-Dec. This world is crazy! Strength: Wednesday did not. Thursday did only two things because I just didn't have energy or strength. Walking: Wednesday, but only about 2km because of rain storm starting. 2. Dry Fire: Wednesday - done, magazine changes, aim and front focus. Safety videos (Tuesday and Wednesday evenings) by Active Self Protection. 3. Water: More than one bottle each day. 4. Sleep﻿: Wednesday - In bed on time and fast asleep quickly. Thursday - late due to sewing. Monthlies: Some other, but not slips etc. 6. Tidy a Room: Thursday morning Brandt said to find out prices and options for cushions for the dining room seats, and go for it. It needs to be done, because we can't sit comfortably, and we use that table every day for school work and such. Haven't got much further with the boys' bedroom, but did get some things cleared out in the back room. Almost, almost drove into trouble yesterday. On my way home I wanted to use the normal route but were luckily stuck behind two taxi's (minibus taxi's). Why lucky? Because they had turned into the street I was going to turn into, when they suddenly stopped and quickly started making u-turns to go the other way. The lead taxi gave me a wave of his hand, which made me look twice up the road, and there I saw a gathering of people starting a march! Obviously not legal, as no notifications were sent out, and there were no police anywhere near. The people were wearing red berets and t-shirts, but I couldn't clearly see the emblem on either. At first I thought it might be a harmless "Valentines March" by the college students from the college on that corner, but then the berets and t-shirts clicked, and I realised it was most likely the EFF political party. I followed the taxi's post hast! That is the political party who keeps shouting "Kill the whites! Kill the farmers" where ever they go. They are also joining the current governing party for the elections to try and get a 60% vote win. I waved frantically and flashed lights at other cars going that direction, and a couple more u-turns by people, and away we went! Sjoe! Safe! Maybe nothing would have happened, but I wasn't willing to take a chance. Let me put it this way... if minibus taxi's aren't taking a chance, then you don't take a chance. There was nothing on any of the groups, so maybe they were also just celebrating valentine's day. I bought enough stuffing to make my own cushions/pillows for the dining room chairs. It worked out a lot cheaper (1/4 of the other price quoted and well within our budget) to use stuffing (wool and all kinds of fluffy things that the material shop sells in bags by weight) than sponge. I made a new cover for our bed, and also had enough other (plain) material to make the 7 cushions! I only have 7 covers left to make, and 1 t-shirt to draw for Rocco this weekend. I would also like to make a new long rectangular cushion for the caravan, to replace the one we've used up, but we'll have to see how that works out. Obviously I didn't go to bed on time. Here's the new cover (birds and feathers), with the thick red-pink blanket folded at the bottom. It looks very colourful, but I like how the colours work together from the various pillows to the wall hanging. And I have Zuzu's approval . Finances: Had to go through provisional tax email from accountants, so some of the monthly finances was done, but I really have to get at this over the weekend as well. Saved a lot of money making my own cushions, using material that I have, and am happy with. (Will post pictures when done). So far our finances are within budget and working out nicely. I'm glad you are safe. I hope y'all can get out of there soon. the Lord is keeping you safe. stick tight to those taxi's. she blasted the car's horn and drove away. her passenger was Like , What if you had run someone over...? Whatever it takes to be safe.